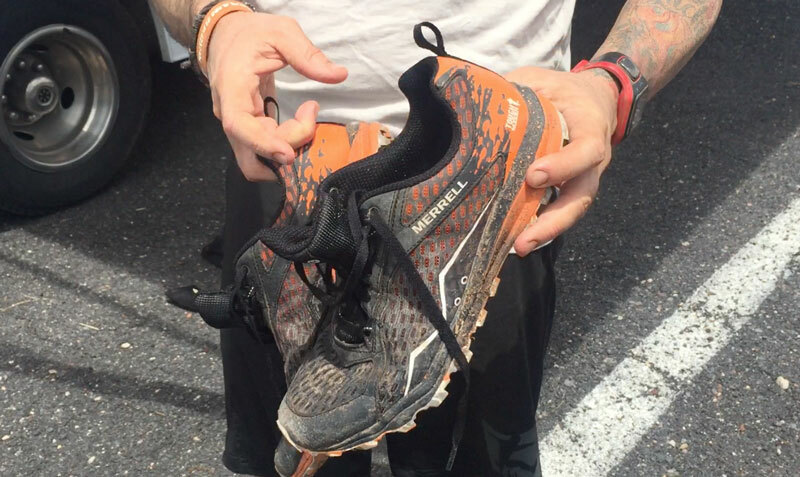 Tough Mudder's new shoe is a step-up* from the UA model. Merrell, a well-respected brand in the world of off-road running, hiking, and water sports, makes its first foray into mud runs with their Tough Mudder All Out Crush. We got our hands (feet) on a pair of the TM-branded ones and the standard red model and put them through their paces. There are enough epic obstacles on a Tough Mudder course – your footwear shouldn’t be one of them. This versatile trail runner is built to take a beating, get you across the finish line, and clean up for your next adventure. 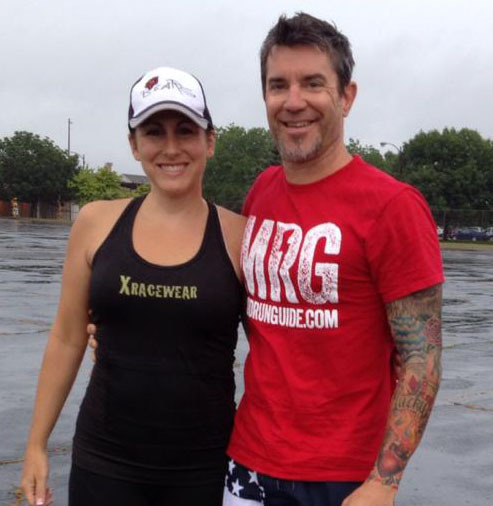 In earlier reviews, I've focused most of my attention on testing shoes primarily for OCRs, Mud Runs, and Trail Running, for good reason – this is a mud run site! Realistically, if you're dropping $100 or more for a pair of quality off-road shoes to use on race day, you probably will not only be logging plenty of miles while training in them, and you may even be like me – using 'em in just about everything active you do. That means your “OCR Shoes” will also find duty as golf spikes, soccer, softball, football, and ultimate frisbee cleats. In order to “get your money's worth” you should be able to pull out your racing/training shoes for any activity where good traction is needed, at least that's what I do… and how I will be testing and reviewing shoes from now on. Look for the “Other Sports” section below, and I'll try to give you some insight as to how particular models stack up to real world usage – from the grocery store to the gnarliest trails I can find. Visually, the AOC look pretty much like average running shoes with some medium-sized lugs on the sole and should provide decent traction. The rubber feels pretty flexible and sticky, and the upper consists of 2 layers that seem like they will breathe well while preventing debris from sneaking in. They don't look like shoes made specifically for OCR, and actually remind me a bit of the first or second version of the Reebok “Spartan” shoes. “Do as I say not as I do” SHOE TIP: Don't make snap judgements when you first slip a pair of kicks on right out of the box; give them a few minutes to warm up to your feet and stretch a bit, play with the laces to find the right fit and walk/jog around for a little bit. If the fit is wrong on your toes (there should be about 1/4″ space from your biggest toe* to the end of the toe box) then obviously adjust size while paying attention for the arch and toe box and if there is any give after 3-5 minutes. Often times there is, and if you give up on a shoe too quickly (as I have done in the past!) then you may miss out on the best fit. *I have Morton's Toe where my second toe is longer than the first; actually, my second toe is normal and my “big” toe is a runt. Shoe fit with room in the toe box is extremely important and sometimes challenging requiring open flame modifications. As I mentioned in “Review Criteria” above, a $100-$160 investment in shoes for OCR racing & training can be a bit much if you're only using the shoes part-time, I personally like to wear mine every chance I get. As a replacement for cleats, the All-Out Crush perform very well; traction and flexibility are key for running and cutting on grass in soccer as well as fielding and rounding the bases on clay in softball. For golf, comfort walking 18 holes and grip when swinging are equally important. In all areas the Merrell All Out Crush performed very well, after all, these are built around a running shoe with the addition of some great traction so their comfort and performance wasn't too much of a surprise. I initially had some concerns about the lateral stability and cutting fast on turf while playing soccer, as the toe box felt a bit large and the heel-toe drop plus lug height raising my heels 11mm off the turf. Out on the pitch, I didn't really notice it at all, and actually felt like I had as much ball control in the AOC as I do with my full-time soccer spikes. The black & orange Tough Mudder ones are the ones I chose to get filthy, while the red & white ones are seeing less of the dusty, rocky trails, and more concrete parking lots, golf courses, and shopping malls. That's where the Merrell AOC has an advantage over more specialized trail/OCR shoes; they fit & wear like running shoes, just with a little extra traction. I took the Merrell All Out Crush up to Flagstaff, AZ to test at Terrain Racing, and overall was pleased with the results. In my Shoe Showdown post coming later this week, I compared the AOC, Reebok's All Terrain Super OR, Icebug Zeal2, and Salewa Training live on our M+A Facebook page in terms of Drainage, Mud Traction, and Grip. After that testing, I ran one 5k loop of the course in the All Out Crush and was really impressed with the overall performance. While they aren't the lightest shoe overall, they absolutely get the job done in terms of comfort, cushioning, and traction on the trail. 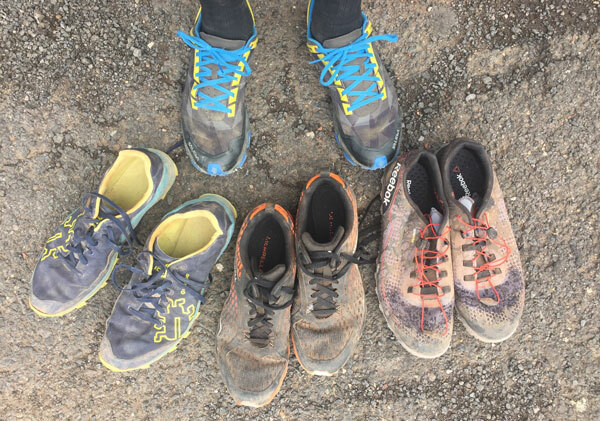 Of all the shoes I tested this weekend, they were the most cushioned – for good and bad – as more cushioning means more water retention and heavier shoes. 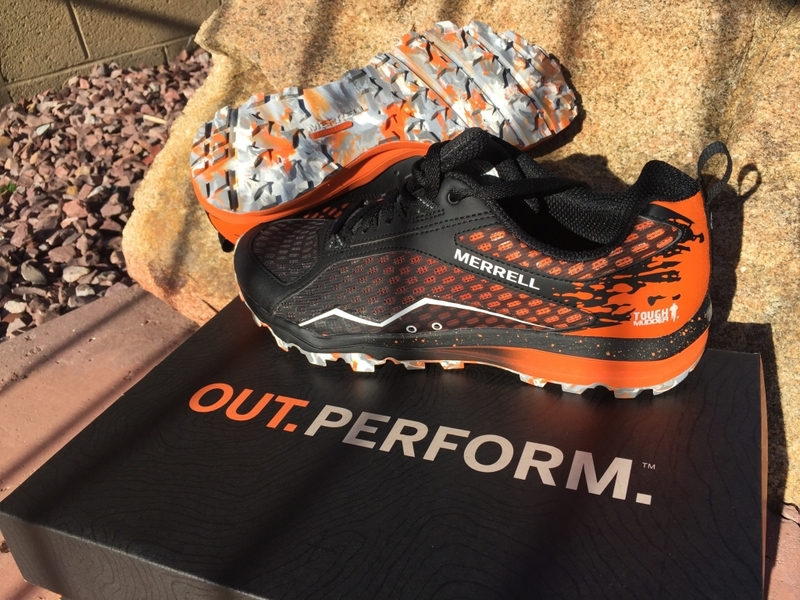 I was pleasantly surprised with how well the All Out Crush performed out on the course, the traction was good, the water drainage was great, and the cushioning was excellent. All in all, a comfortable shoe that can work exceptionally well for nearly any trail runner or OCR athlete. They worked well for a leisurely 5k in the mud, trains, and over obstacles, but I think the cushioning makes the All Out Crush well suited for longer, slower events like a Tough Mudder. Longevity? I purchased both the All Out Crush and All Out Crush Lite, keeping the Lite because the fit felt better. However, I am noticing the toe is starting to peel and the fabric ripping on the instep. I have done just a few training trail runs in them in the spring and ran TM Scotland in June in them, so not a lot of use. What have you seen? I will be contacting Merrill regarding this. I have less than 20 miles into the TM version (black/orange) and haven’t noticed any real wear in that short time.I was actually impressed that they didn’t harden up after drying; I purposely left them muddy & wet and cleaned up just fine a few days later. As for your delamination, absolutely contact Merrell. I know they have good customer service, I once returned a pair of Trail Gloves after less than 100 miles for immediate replacement with a newer model. Nice touch. One huge caveat that I didn’t mention: when buying the first of any model – car, gadget, shoe, etc. expect a few glitches with wear & tear… it seems like you’re witnessing some early model woes.